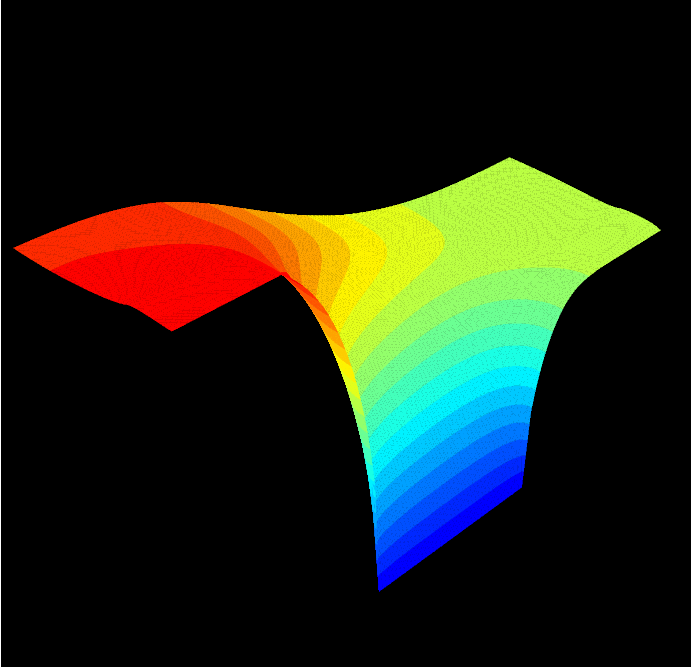 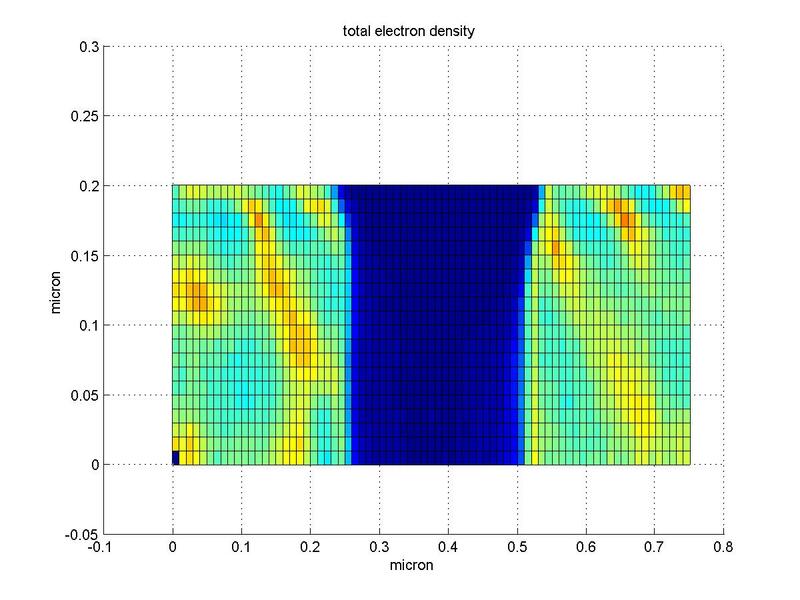 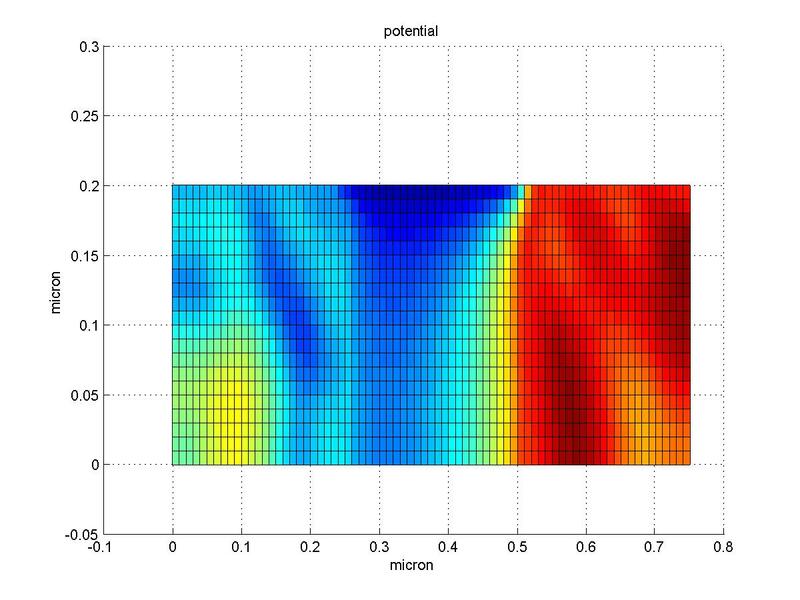 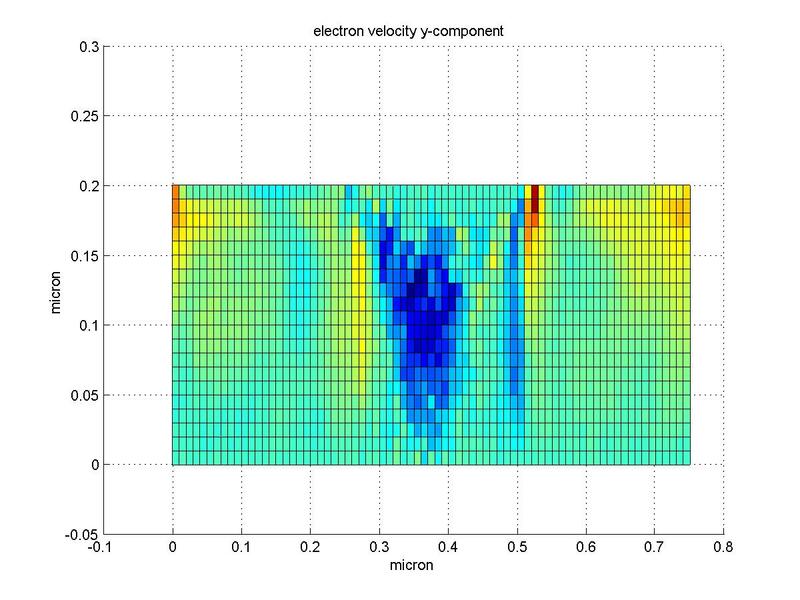 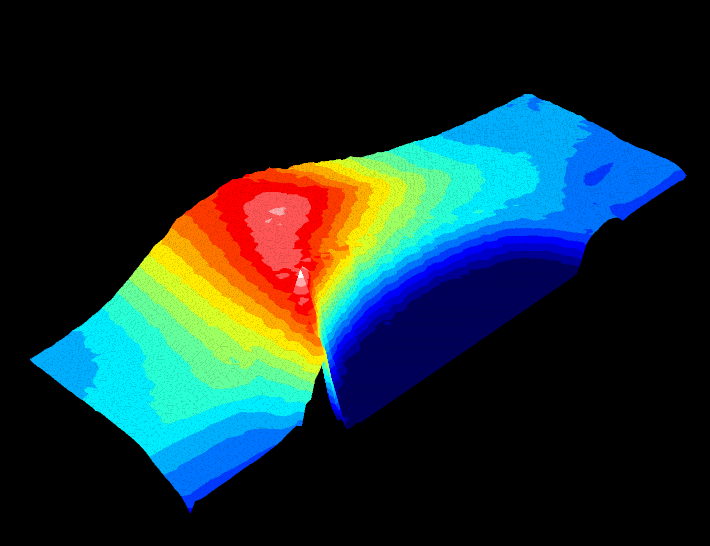 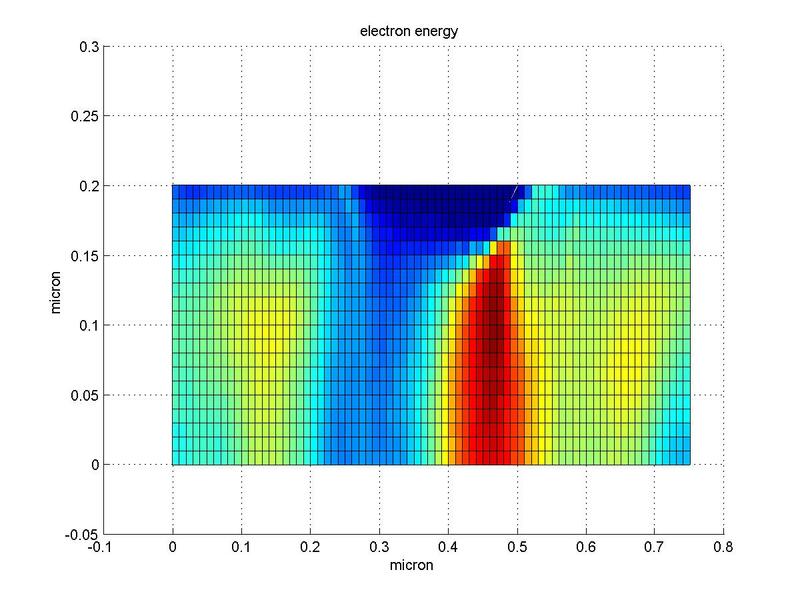 A 2D Gallium Arsenide MESFET has been simulated by means of Archimedes, in order to show its capabilities of simulating submicron MESFETs. 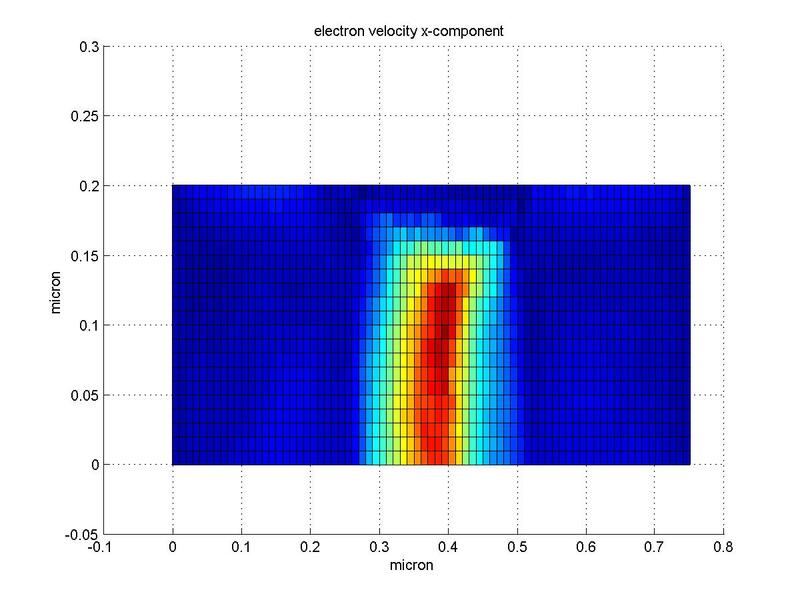 This devices in made of Gallium Arsenide, and is simulated at 77 Kelvin (liquid Nitrogen temperature). Archimedes takes into account all the relevant scattering machanisms in such GaAs devices for such particular temperature conditions. 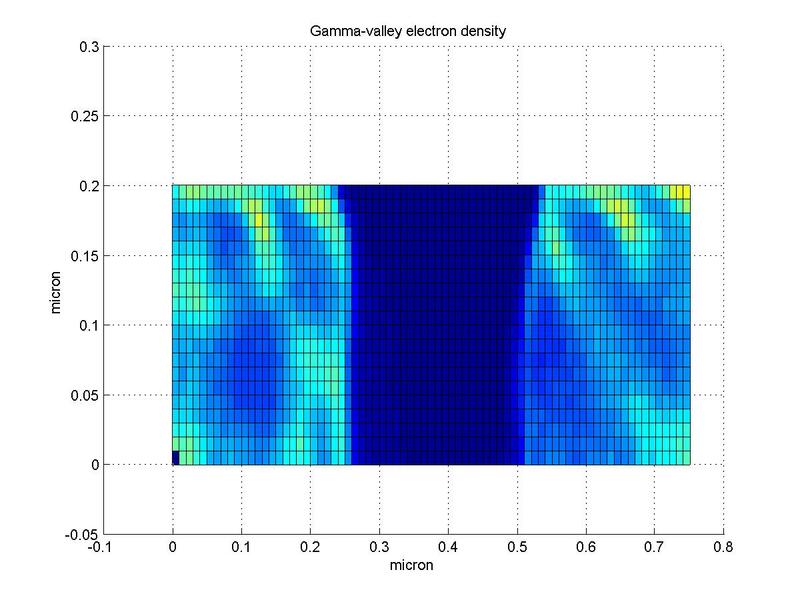 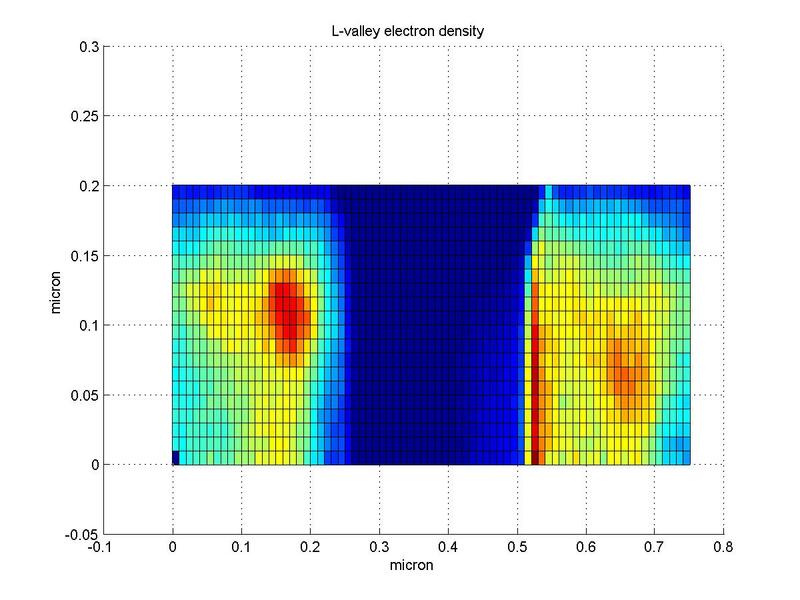 Here, we report the electron density in the GaAs MESFET for the total density, the GAMMA-valley density and the L-valley density respectively.